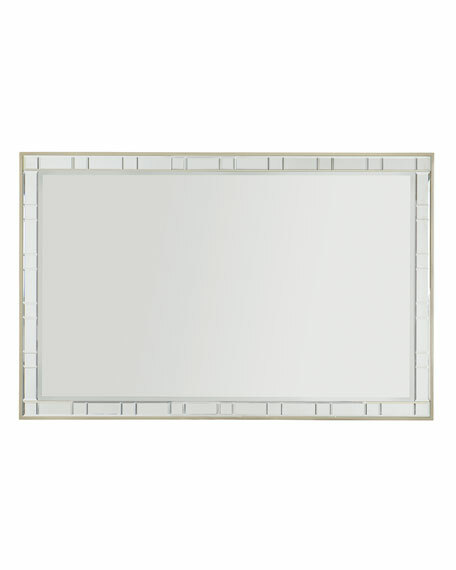 This mirror captures the radiance of all who peer into it. 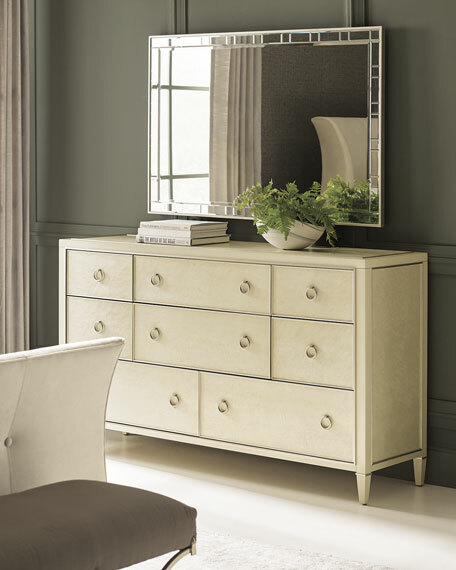 The frame is finished in a neutral metallic Soft Radiance that is the perfect complement to the deco mirrored detailing that rims the piece's edges. A tall, rectangular profile that is perfect for an entryway or dressing area, this silhouette will catch your eye. 1/2" bevel on center mirror plate. 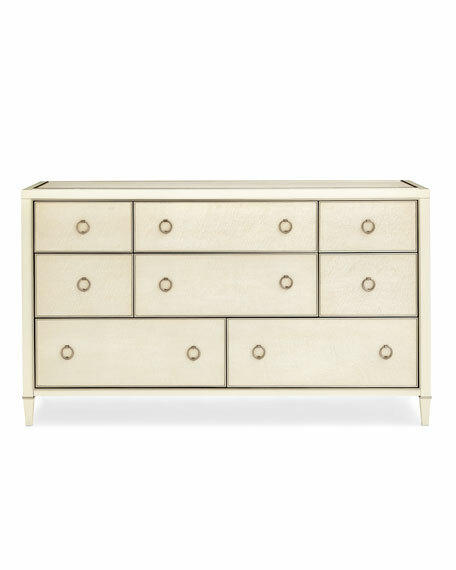 32"W x 1"D x 49.5"T.
Three drawers with Soft Radiance accent in the center front of each drawer. 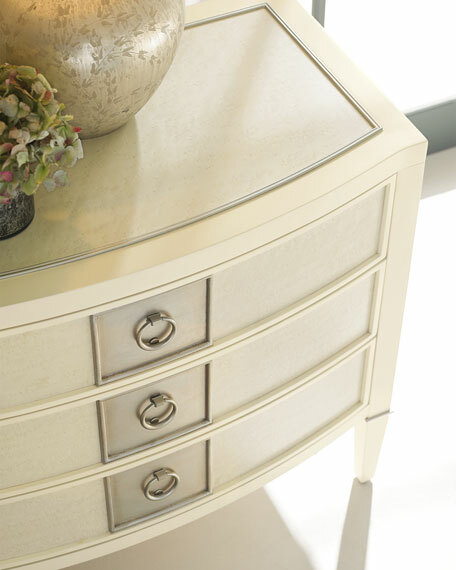 Drawer interiors in Pure Ivory. 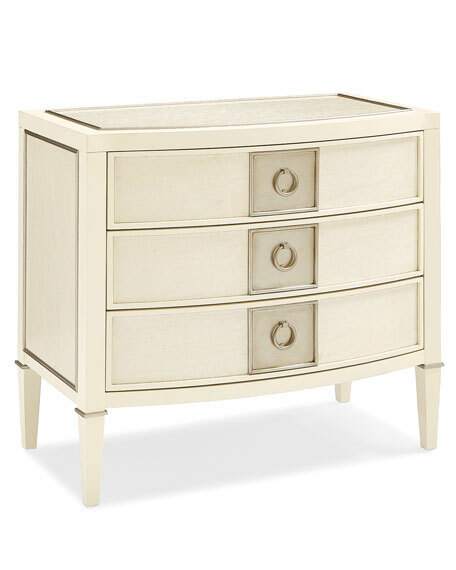 Modern deco style is refreshed in this slightly bowed, three-drawer night stand. 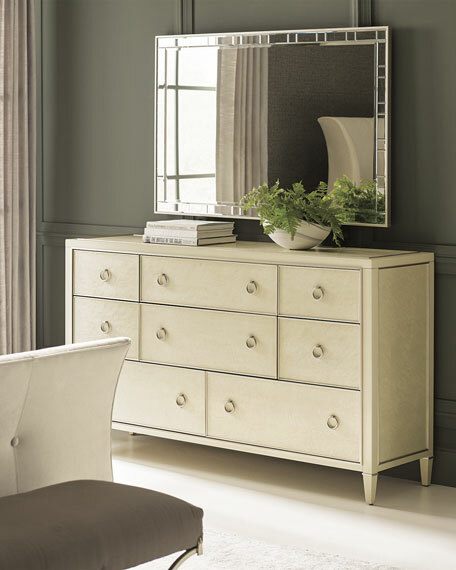 Layers of panels, in Soft Radiance and Birdseye Maple swept with a Sheer Ecru finish, create a magnificent front. 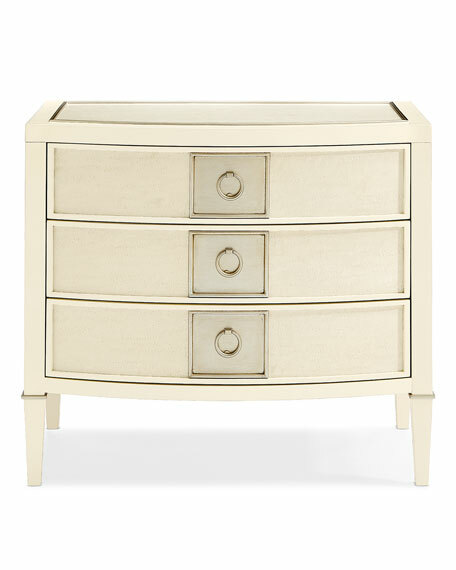 This silhouette has custom metal hardware and square tapered legs that make a fashionable statement in any bedroom. 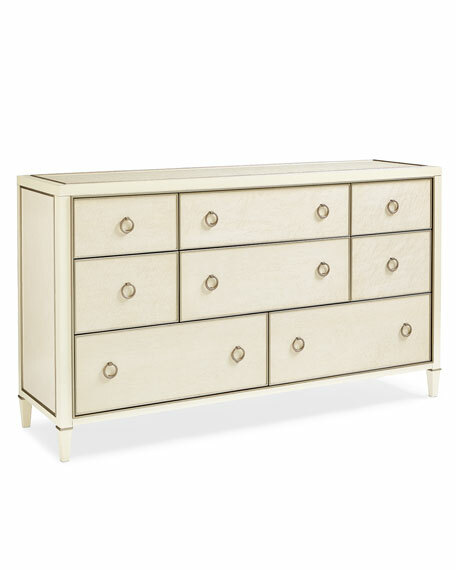 32.3"W x 18"D x 28"T.
Decorated in Pure Ivory with a series of Birdseye Maple panels that have been kissed with a Sheer Ecru finish and trimmed in Soft Radiance, this chest's eight drawers, provide unparalleled storage. Each drawer features a custom metal pull. This refined piece sits off the ground on square tapered legs. This slightly bowed chest is literally More Than Meets The Eye. Handcrafted dresser with eight drawers. Birch and bleached birdseye maple wood. 64.3"W x 18.5"D x 37"T.